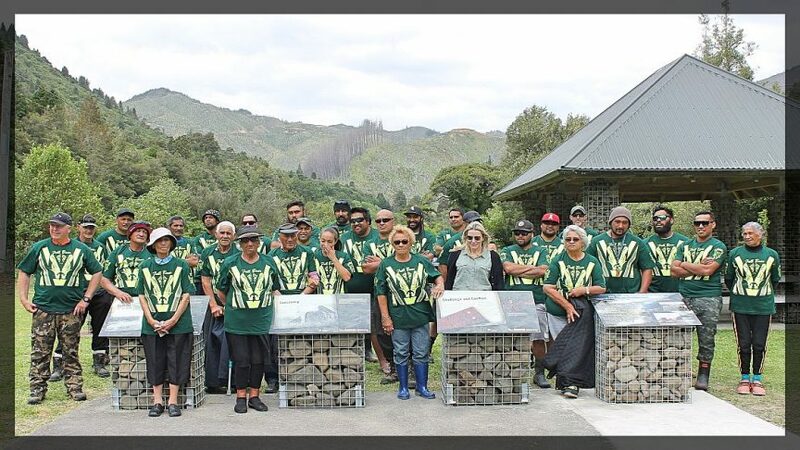 Rayonier Matariki Forests and Crew 21, from Maungawaru Logging this month celebrated the completion of an extremely challenging harvesting operation in Oponae Forest, New Zealand. Crew 21 has had to navigate steep terrain and unstable ground, manage unpredictable weather patterns and cope with flooding of the Waioeka Gorge over seven years of intense steep slope harvesting in Oponae Forest. Rayonier Matariki Forests Bay of Plenty Regional Manager, Andy Warren, said the operation had involved numerous challenges but with the collective efforts of so many people and organisations, it was now a job well done. “This celebration has been a long time coming and is the culmination of thousands of hours of dedicated work from logging and roading crews, trucking firms, Rayonier Matariki Forests staff, Ngati Ira and others to accomplish a remarkable feat. “The operation has taken over a generation and a half, from the breaking of the land, blessing the tree planting, harvesting and coming full circle to replanting. Local Ngati Ira whanau have been associated with this forest operation cycle throughout their entire lifetimes,” said Andy. The mammoth task of harvesting Oponae saw over 186,000 trees felled manually and 318,000 tonnes of trees harvested which equated to 10,900 loaded log trucks which would span the distance, in a queue back to back, from Opotiki to Hamilton. Geraldine Fitzgerald and Dale Gilbert, owners of Maungawaru Logging said they were extremely proud of their crew. “We’re here to get the job done but this has been an exceptional job and we can say it has been done well, and done safely. Our crew have worked together as a tight team and for many of them this job has sustained more than one generation and given them the opportunity to work on their whenua,” said Geraldine.